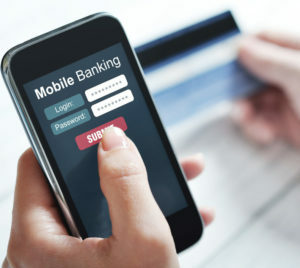 In an age of mobile apps and online banking, “People effectively carry a branch in their pocket.” If you spend any time in finance and marketing circles, you’ve likely heard that quote from Bank of America CEO Brian Moynihan before. But while account access may be just a click away, the brick and mortar bank branch still forms the bedrock on which consumers build their trust. To continue to foster trust in an increasingly digital world, local bank marketing requires innovative and adaptive strategies. Why Is Local Bank Marketing Still Important? Two out of every three American adults own a cell phone. Nine out of ten use the internet. With these stats, it’s no surprise that digital banking is more popular than ever. According to the Federal Reserve, “Of the 91% of American consumers who have a checking, savings, or money market account, the majority use some form of technology to interact with their financial institution.” But do online tools nullify the need for in-person service? Definitely not. The majority of bank customers open accounts at their local branch. As years pass, one bank visit becomes a weekly or even daily ritual. According to anthropologist Bronislaw Malinowski, “People are more likely to turn to rituals when they face situations where the outcome is important and uncertain and beyond their control.” Digital tools may help consumers make important decisions about how to save for retirement or finance a college education. Yet our brains continue to steer us toward rituals and habits—and right through the doors of our local bank. Personal interactions in local bank branches offer something that digital account tools can’t—an emotional connection. Financial management can be stressful, but speaking to a human being who can acknowledge and validate fears and concerns helps. Through body language, facial expressions and tone of voice, employees at local banks prove to consumers that their concerns are valid and their business is valued. Local bank branches aren’t just businesses—they’re part of a community. When a consumer visits a local branch, they’re not acting as patrons of a multinational corporation. They’re supporting a local business and their friends, family and neighbors who work there. Local bank branches provide an experience consumers simply can’t get through mobile apps or online banking. Different channels are able to meet different needs, even when offering the same services and solutions. To make the most of each experience, financial marketing solutions should focus on an omni-channel strategy when brainstorming banking ideas to get new customers. Local bank branches play an integral role in the banking experience. While most marketers recognize this, they often treat these physical locations as a separate entity. They push bank branches out of the frame when picturing their overall financial marketing strategy. That’s a big mistake. Banks that leave customers “very satisfied” with channel experiences realize the greatest gains in customer engagement. Take branch visits, for example. When customers prefer digital channels but use branches and are not “very satisfied” with their branch experiences, only 5% of these customers are fully engaged. When customers prefer and use branches but still are not “very satisfied” with their experiences, engagement rises to a mere 11%. Local marketing ideas for banks need to function as part of a larger omni-channel marketing strategy. Unlike multi-channel marketing, omni-channel campaigns focus on the customer. They meet customers when and where they want to interact. Most importantly, they deliver solutions across channels while keeping brand compliance consistent. Are you making the most of your omni-channel marketing? Find out with this free checklist! Whether you’re searching for banking ideas to get more customers or marketing tips for customer retention, each channel plays a part. The following local marketing ideas for banks provide benefits on their own, but function best when they play a part in a larger omni-channel marketing strategy. The best local banks are filled with financial advisors who are experts at uncovering their customers’ needs. Many consumers may be reluctant to share details about certain assets. Additionally, they may not recognize some financial issues on their own. That’s why this skill truly requires a human touch. Financial experts at local bank branches know how to ask the right questions to uncover consumers’ needs. The information they discover can drive trigger local bank marketing campaigns. What would a trigger marketing campaign look like? Imagine a national bank is looking for banking ideas to get new customers. They want to advertise a new local bank branch. With a trigger marketing campaign, they can send an email and direct mail piece to consumers who live near the new location. Or, send a thank you note from the branch manager when a customer opens a new account at the branch. Trigger, or automated marketing campaigns, can personalize multiple messages within the same campaign. So one consumer can receive information highlighting mortgage rates, while another learns about car loans. Local bank marketing ideas work best when they’re highly targeted. All of these messages promote the opening of the new local bank branch, but each does so while addressing the consumer’s unique needs. Best of all, automated marketing campaigns leverage the skills of branch employees so banks can build relationships on all channels. How can automation increase ROI in the financial industry? In other words, when brainstorming banking ideas to get new customers, targeting local marketing ideas for banks to the right consumers isn’t just important—it’s legally imperative. Luckily, local community banks aren’t the only businesses with this concern. Other professionals are struggling to meet consumers at the intersection of what they want and what they can afford. There’s great marketing insight to be gained from analyzing these local industries—especially real estate. Hidden Gems. Many lower-income areas have affluent “pockets.” Use Zillow to discover hidden homes with high price points. Adjust marketing collateral for these areas to include products and services for higher income residents. Dig Into Demographics. Real estate apps also share key demographics on specific school districts and areas. Are there areas with high ESL populations? Use marketing templates to customize brochures, banners, and other ads easily to reach consumers in their first language. Virtual Open House. VR headsets are more popular than ever and savvy real estate agents are cashing in on the craze. Do the same by creating a virtual open house to promote a new bank branch opening. 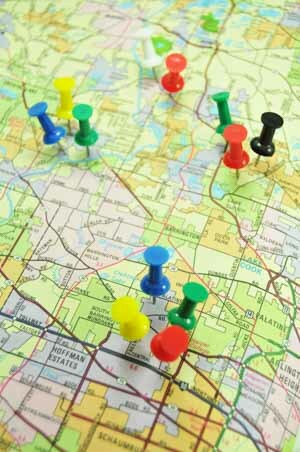 Want to get more local marketing ideas for banks? Don’t be shy—talk to your connections in the real estate industry. Ask them about the trends they’ve noticed. How have they adapted to their local markets? Share your insights and bounce ideas off of each other. You’ll be amazed at what you learn! 68% of households in 2015 were “fully banked.” (The household had a bank account and did not use alternative financial services in the past year.) The amount of fully banked households rose only 1% from 67% in 2013. Approximately 9 million U.S. households, including 15.6 million adults and 7.6 million children, were unbanked in 2015. More than half (55.8%) of unbanked households thought that banks were not at all interested in serving households like theirs. Do the math. This means that over 5 million households in the U.S. don’t have a bank simply because they believe no bank wants their business. These people drive past billboards and flip through magazines. They listen to the radio and watch T.V. Yet none of the local bank marketing they digest makes them feel “wanted” by their local bank. In order for banking ideas to get new customers, local bank marketing needs to get personal. There’s no better way than to send nearby households a handwritten note. However, you don’t need to dedicate an entire workweek to this task. Digital handwriting services can save you from hand cramps by producing notes, cards and invitations for you. With brand management software from BlueSky ETO, you can send hundreds of handwritten cards at a time—each one addressing the recipient by name. Send notes to locals letting them know how much your neighborhood branch values their business and would love to serve them. Sign the note as the local branch’s manager and include their business card. That way, your new customers will know exactly where to go and who to talk to about their banking needs. Americans’ confidence in the banks plummeted after the 2007-2009 recession. It fell to 30% where it languished for eight straight years. Although perception has improved slightly, only 27% of Americans say they have “a great deal” or “quite a lot” of confidence in the banking institution. The military, police, organized religion, the presidency, public schools and more—as of June 2016, Americans trusted all of these groups more than they did the financial industry. Luckily, local bank branches have the power to build trust from the ground up. And many do, not just through open and honest business practices, but by serving the community beyond their four walls. From fundraisers to food drives, local bank branches make a difference every day. Alone, these efforts build trust in the community. 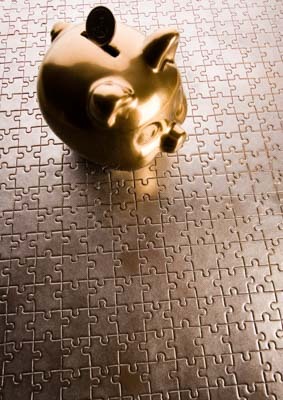 When incorporated into local bank marketing campaigns, they yield even bigger brand benefits. Stop using the same handful of sanitized stock photos in every piece of digital marketing for financial services. Instead, share photos of local tellers and bank managers serving customers and volunteering in their communities. Digital asset management software makes it easy to store and share brand-approved images. Include these images in your local bank marketing ideas to control your brand image and build trust—all it takes is a friendly face! Bank branches can’t survive solely on foot traffic and word of mouth. They need to be easy to find online too. 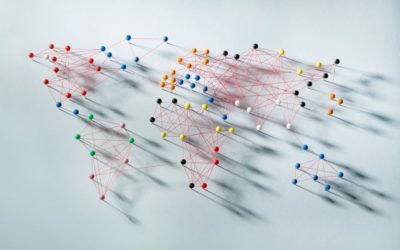 Searching for unique bank names may help consumers find a national website, but what happens when they search for products and services in their area? With the help of localized digital marketing, your local bank branch can appear at the top of their results. Add dedicated web pages to the bank’s main website for each of its local bank branches. Be sure to include details like location photos, directions and operating hours. Announce local branch news with press release distribution services. Be sure to use the branch’s city in the release’s title and link to the webpage dedicated to that specific branch. Sharing images of your new bank location or events hosted by the branch? Before you upload, rename image files to include the unique bank names and locations. Add city and state tags to alt text in images for an added boost. Create separate pages on Facebook and Google+ for each branch location. Social Media managers can easily update these pages with the help of customizable brand templates. Use Moz Local to check local listings for each branch location. This directory tool will even offer tips to improve listing visibility. For an accurate look at how your local branch appears online, switch to incognito mode and put yourself in your customer’s’ shoes. How does your bank branch appear when you search for it? What about when you look up local banks, the nearest ATM, or the best places to get a loan in your city? Check a variety of terms and track your results to see where you stand (and maybe score some ideas from your competitors in the process). Speaking of competitors, there are plenty of banks running unique marketing campaigns. 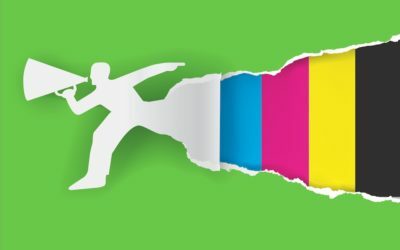 While you won’t want to copy these ideas, they should give you some inspiration to create unique local bank marketing ideas of your own! 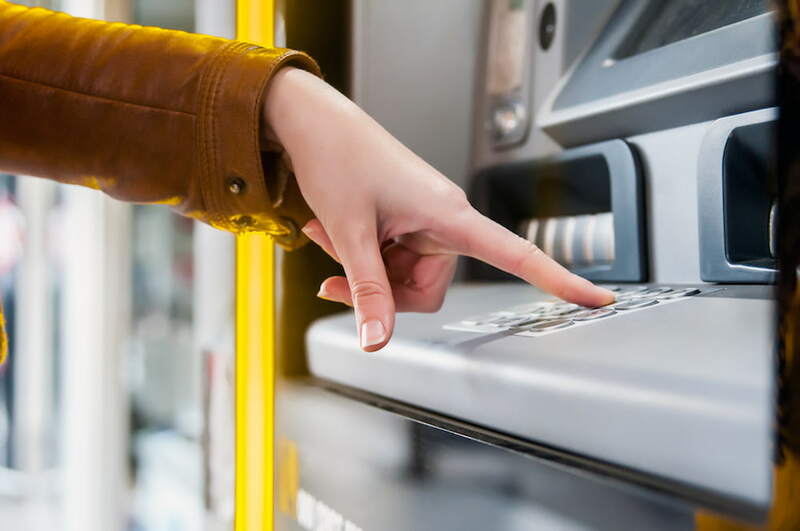 In an effort to promote a new bank branch opening, Easthampton Savings Bank in Massachusetts turned its ATM into a “no lose slot-machine.” The “ATM Gone Mad” dispersed an occasional $50 bill in place of a $20. Locals swarmed the new branch to try their luck. They say a picture is worth a thousand words. This one is worth at least 61,000 pennies. A billboard by Vancouver credit union Vancity features a mosaic of copper coins under the tagline “Are you ready for change that counts?” The campaign highlighted the union’s dedication to fostering social change in their community. Talk about putting your money where your mouth is! CIB Bank recently celebrated the 120th anniversary of Budapest’s Grand Boulevard neighborhood by creating a steam-powered ATM. With brass and copper cogs and gears, this machine looks like blast from the past. In lieu of cash, it uses a camera to place users’ faces on custom banknotes. The creative “Bankomat” has been a hit with tourists and locals alike. Spanish bank Santander made a splash during the holidays with a “Secret Santander” local bank marketing campaign full of good-willed pranks. In one, customers who pressed a “Jenson Button” got quite a surprise. 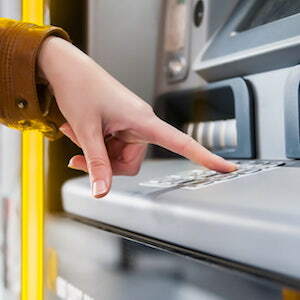 Formula One Driver Jenson Button would appear through a secret window on the ATM and personally hand customers a little holiday bonus on behalf of the bank. FNB won over customers by poking fun at their competitors. 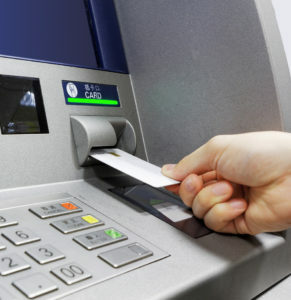 When a visitor inserted a competitor’s’ card into an FNB ATM, the screen would turn that competitor’s slogan on its head with a clever phrase suggesting the user make the switch to FNB. For example, clients of Absa received the message, “If your bank is making you see red with bank charges, switch to the bank with free card swipes, fuel rewards, and more.” Now that’s one way to put targeted local bank marketing to work! Community banks are faced with the ongoing challenge of finding new customers and keeping their current customers happy. By tapping into their unique advantages—like community involvement and focusing on the needs of local families and businesses—their local bank marketing efforts can yield successful results for current and would-be customers alike. Marketers are innovative by necessity. There’s no lack of inspiration out there. 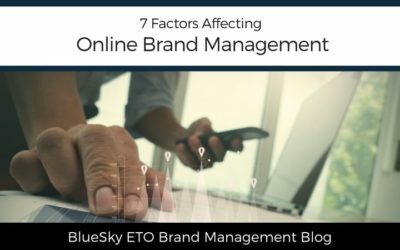 For the latest creative campaigns follow outlets like Advertising Age and Adweek— and don’t forget to subscribe to the BlueSky ETO Brand Management Blog! We hope this guide has inspired you to look at your local bank marketing strategy with a fresh perspective. When you do, keep in mind that you aren’t the only one with valuable insights to share. Sometimes the most innovative banking ideas to get new customers come from the most surprising places. BlueSky ETO helped over 200 local CitiFinancial branches improve their ROI. To continue to foster trust in an increasingly digital world, local marketing ideas for banks require innovative banking ideas to get new customers. This is a great thing! I feel like in-person bank branches are going to be obsolete in a few years. Online is so much more convenient! I love doing online banking because it is so easy, but there are still some things that are better in person! While we can do a lot of our banking online, we still love having a bank close by that we can go to whenever we need to. I also go for a local bank. They easily understand my needs and they quickly attend to my queries. Great post! Even though I do lots of banking online now, there sometimes is still no substitute for actually walking into a branch and talking with someone face to face! There are some things that just aren’t easy to do over the internet. I still go to my local branch often. The bank apps can only do so much and it’s better to go to the bank to settle all your concerns. For me it’s still the best way and I think it’s still going to work marketing-wise. Local banks have got their own charisma with employees building more strong relationships with the locals. hAving said that, all the marketing techniques that you provided seems to be more feasible. Such a good piece of writing. Knowing your demographic is a great tip because it drastically changes the list of services and the type of marketing a bank would do. Banking locally gives a good relationship for banks and businesses. I have been with the same local bank for years. It is nice that I know most of the employees. I will have to tell my friend about the Real estate App. I like local banks that keeps their client update regularly via email. It keeps me informed. A good marketing campaign is so necessary for success. Other businesses can use these suggestions too. Very interesting. I didn’t know about the real estate app but I might be buying soon so this was very helpful. I rarely visit my branch because I do everything online. These are great ideas to revive in person service. I like local banks for the personal touch. I dont even own an ATM card. The right tools definitely do make all the difference. Thanks for the ideas.